And what else can we find so filthy and mean? "Eat not his flesh, nor touch his dead carcass,"
For with sin, and disease it surely will mark us. Still we eat the old greaser, yes, eat him we must. So we eat the slop eater from his tail to his snout. And ate vegetables, fruits, and the grains of the land. Still we eat the old brute from his tail to his snout. Then like vultures we feast on the dirty old swine. By discarding the hog from his tail to his snout. 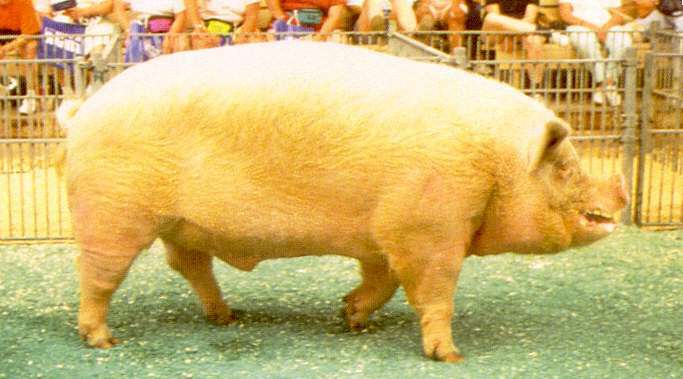 Included in the Pentateuch among the unclean animals prohibited as food is the pig... As early as Antiochus Epiphanes it was decreed that the eating of swine's flesh was to be a test of the Jews' loyalty to Judaism. Were all animals made clean? What about the unclean animals shown to Peter in a vision? Here is a straightforward Bible answer, giving the New Testament teaching. This subject is important to your health and well being! Scientific View of The Hog! Many believe it matters not what people eat, thinking everything is sanctified by their prayers. We have reason to believe God made NO MISTAKE when He declared the hog to be UNCLEAN FOR FOOD. Trichinosis is a parasitic disease of omnivorous and meat-eating animals including the human. When we get the disease, larvae of little white worms, about one twenty-fifth of an inch in length, are peppered thick throughout the muscular tissue of our whole bodies. When this little worm larvae has been for a few months in our muscular tissue, nature begins to wall it off with surrounding deposits of calcium and other mineral material. But once we are infected the parasite stays with us for the rest of our lives. It was a mystery: How could Orthodox Jews who keep kosher in New York City catch tapeworms that usually afflict people who eat pork in Central America? The New Testament speaks very little on the subject of flesh meat as a dietary supplement or staple food. The word meat is used 64 times in the New Testament, but in a wide variety of contexts. There are 15 different Greek words that have been translated as meat or pertaining to meat eating. NEW TESTAMENT AND UNCLEAN MEATS! This article will briefly attempt to discuss unclean meats from a New Testament perspective. It will address 5 points which are falsely raised to justify consumption of unclean meats. GOD'S LAW CONCERNING THE EATING OF CLEAN AND UNCLEAN CREATURES! Should we continue to obey the law about clean and unclean meats that are found in Deuteronomy 14 and Leviticus 11? This study will show that God expects us to observe these laws, because they are a part of his overall plan for mankind. Additionally, this study will show that these laws of God are both physical and spiritual laws, that were given to benefit people physically and spiritually. Unclean Meats—Should They Be Eaten? Interesting Drop Down Menu listing Clean and Unclean Meats! Various articles and Bible scriptures relating to Clean and Unclean Meats! As regards the animals allowed for food, comparing them with those forbidden, there can be no doubt on which side the balance of wholesomeness lies. A general list of Biblically Clean and Unclean fish and "Sea Foods." Did Jesus adjust God's ancient laws of clean and unclean meats? The answer shouldn't be hard to find. It should be right there in the four gospels. An article just published in Scientific American says that American pig farms are virtually "are virtually "flu factories." 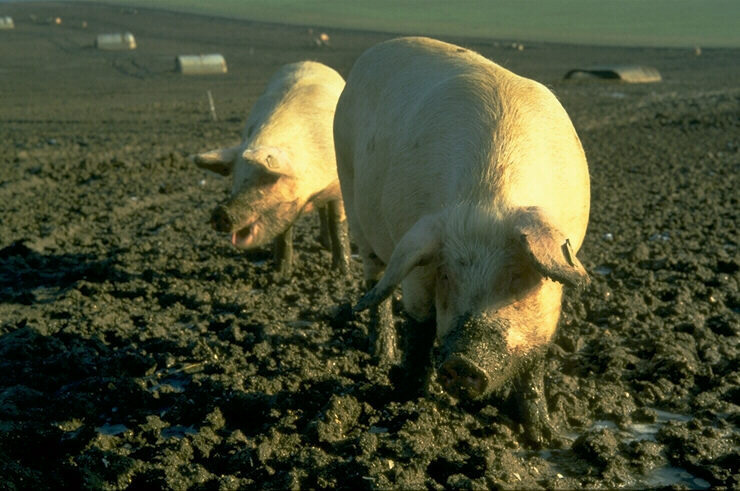 Industry results of pig flu tests are kept confidential, and the pork industry is reluctant to share data with health officials. Are Some Meats Unfit To Eat? Are the Old Testament dietary laws of clean and unclean meats out-dated? Should Christians eat pork and shell-fish? Is eating them unhealthy? Is eating them sin? Here's what God's Word has to say. This is an excellent web site with a lot of good info and pictures. Clean and Unclean: Commandments for today! Knowing that the law of Yahweh is not abolished, here is a short study on why it is wrong to eat unclean animals. YAH Saves One thing that stands out about the Jewish people is their eating habits and their refusal to eat particular items. Does the Bible Permit Christians to Eat "Unclean" Meat in New Testament Times? During the pre-Christian era, it is a well-known fact that God forbade the Israelites to eat certain types of animal flesh. While the Israelites frequently disobeyed God's instructions, it was quite clear that God's law prohibited the consumption of pork, shellfish and other types of animal flesh. Therefore, if a person ate "unclean" food in Old Testament times, it was because they were choosing to disobey God's instructions, not because they felt they had a divine authorization to consume such meats. Ancient Bible Health SECRETS Revealed Today! were anticipated by thousands of years by the ancient Hebrews? "discovered" by modern medical science? How could this be? God forbid certain meats to be avoided? Did Jesus make "all"
questions honestly, with an open, unprejudiced mind! Someone has said that a text without its context is a pretext, and I believe it. This is particularly true of several strange verses which have been a stumbling block to thousands of earnest Bible students. Under careful scrutiny, however, these "problem texts" are found to be in harmony with each other and also with the rest of the inspired record. Because these texts relate to diet-one of the most popular subjects on the public mind today-we shall seek to untangle some of the confusing questions which have been raised about forbidden foods and biblical health laws. The purpose of this article is not to condemn or insult those who hold to the standard Christian teaching that God’s dietary laws are abolished under the New Covenant. The purpose of the article is to examine the New Testament passages which are commonly quoted in support of this teaching, and to show that these passages do not really teach what most Christians think they teach. 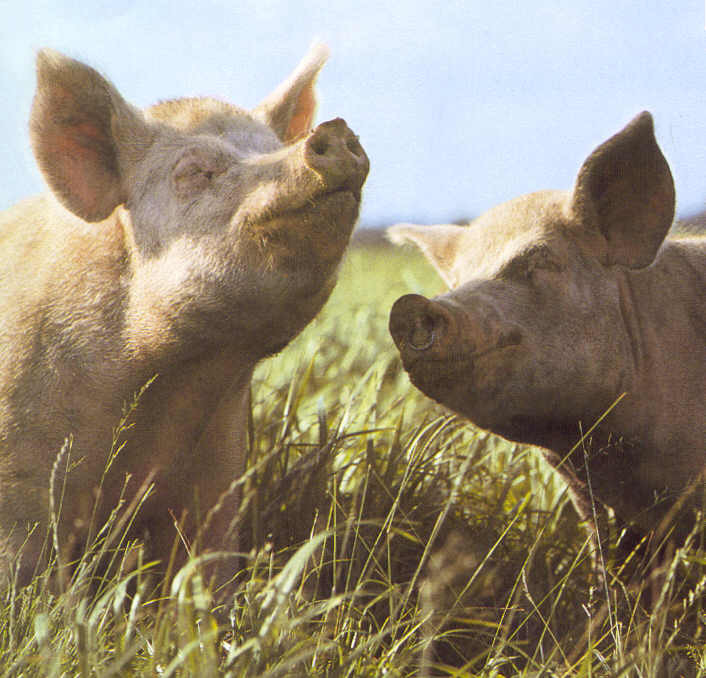 Answers to questions from the article: Is all Animal Flesh Good Food? Why did God, in the Scriptures, distinguish between clean and unclean meats-the animals humans may or may not eat? Is there more to the story? Can we find a health connection? Many believe that all food is now okay to eat. They point to what Yahshua said and what Peter saw. Here is what the Bible says. The subject of which meats are Biblically acceptable to eat is very familiar to all Bible students. Every believer, every Torah (Pentateuch) keeper, who tries to obey the instructions of God, is faced with this subject every time he or she enters a grocery store to buy food. Is it important to follow these instructions? Why are they important? The first reference that God made concerning clean and unclean animals was not in the law that God gave Moses on the mount, but was when God instructed Noah on their separation in Genesis. One area that the world has surely done away with God's law is that of clean and unclean meats. Those who believe this quote passages from the Bible that seem to say that all food, even the unclean ones, have somehow been made fit for us to eat today. A common argument is that the clean and unclean laws were part of the Old Covenant, and that is "obsolete and . . . ready to vanish away" (Hebrews 8:13). The law on clean and unclean animals in the Pentateuch divides all animals into two groups: clean which can be eaten, and unclean which are not to be eaten. This law has been followed by many Jews for thousands of years. It has also been accepted as a rule to follow by some Christians. Other Christians, undoubtedly the majority, believe that this law is not binding upon them in this era and that this law has been abrogated for Christians. It is the purpose of this study to evaluate the various texts of the Bible which address this matter and evaluate them to determine just what response should be given in this regard. Are Some Foods Unfit to Eat? James McBride discusses the question: Should Christians eat pork and shell fish? Is it a sin? Here is what God's word has to say.